One would be hard-pressed to name many bouts with more combined skill than the rematch between Max Holloway and Dustin Poirier; the absolute best that both featherweight and lightweight have to offer will face off for the interim lightweight championship at UFC 236. Their first fight was an interesting one (won by Poirier via submission), but neither Poirier nor Holloway were close to their current forms. Poirier has evolved into a far more punishing and defensively responsible pocket-boxer, while Holloway has since turned into one of the deepest strikers in the history of MMA and arguably the best fighter on the planet. For Holloway, this fight is a chance to earn a shot at becoming a double-champion, one that almost fell into his lap at UFC 223; while Holloway’s extremely short notice kept him from being medically cleared to face Khabib Nurmagomedov on that occasion, he can re-engineer that circumstance with a win over Poirier. By all indications, Holloway is at his peak; his beautifully destructive performance against Brian Ortega was the “Blessed Express” at full steam, and Holloway has an opportunity to become the greatest fighter of all time if a run to the undisputed lightweight belt comes to fruition. First, though, is the man who handed him the first defeat of his career. Meanwhile, even as recently as five fights ago, Dustin Poirier wasn’t seen as a potential top contender; the former featherweight had sustained a tough loss in late 2016 to a fighter who was excellent but not elite, and had engaged in a grueling war against a tough gatekeeper in Jim Miller. Poirier had been known as an action fighter for a long time, but a superb four-fight run (between Alvarez 1 and Alvarez 2) turned “The Diamond” from an intriguing dark horse to a clearly elite lightweight. Beating the current iteration of Holloway, a man who has looked like the best fighter in the world, would make Poirier a top pound-for-pound talent, and put him in the discussion for the greatest lightweight ever. Max Holloway’s evolution, from a fighter who went 3-3 in the UFC to a man on track for GOAT-hood, has been extraordinarily compelling; Holloway’s improvements since his loss to one Conor McGregor in 2013 have been massive, and he has done nothing but win since against some of the toughest competition MMA has to offer. 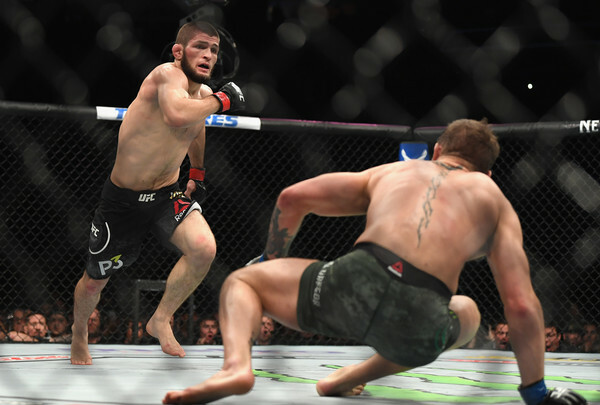 The Hawaiian faced Dustin Poirier in his UFC debut, and took a loss to the more experienced and rounded fighter; UFC 236 gives Max a chance to showcase his development over the last seven years, hold two belts, and set his sights on the undisputed champion Khabib Nurmagomedov. Holloway’s strongest asset is some of the most developed boxing in all of MMA, a skillset which allowed him to take one of the best strikers of all time and come away with two decisive wins. That starts with the jab; Holloway’s jab is better-used than almost anyone in the UFC. The Aldo fights were great examples of Holloway’s jab against an opponent with very sound defenses; Holloway used the jab to get information on Aldo’s defenses to use later and to pull Aldo into a position where he could be hit (he could throw out a less committed jab or a feint to force Aldo to move and follow up with a sterner jab or a right). Against Ortega, similar uses applied; Ortega ate dozens of straight-rights thanks to Holloway’s jab laying the groundwork. Holloway used the 1-2 early in a more conventional way, but he then started manipulating it to catch Ortega unawares: changing the interval between the jab and the straight, doubling up on the 1 or the 2, or feinting with the lead hand to fire the straight right behind it. Ortega was unable to keep up with Holloway all night, and when Holloway was able to get into the pocket, Ortega was absolutely butchered. Holloway’s boxing is strong enough in isolation to deal serious damage, but what got him the win against his most skilled opponent was his blistering pace; Holloway is not only able to drive an unparalleled tempo on the feet (with his jabbing and feints at range, and his comfort in the pocket to pour on seemingly-endless volume as he did against Ortega), but also dent his opponent’s ability to keep up with him. Holloway’s body work is among the best in the sport; he can step into the pocket with flurries to the ribs (set up off that jab or off a flurry to the head to get them covering up), he can work with a body jab-straight, and he can kick nicely to the body. Holloway’s body-kicking gave him the knockout over Anthony Pettis; Max led Pettis onto a spinning back kick to the gut and followed up with the round kick to make “Showtime” wilt. However, even independent of that body work, Holloway’s sheer output can gas his opponent out over five; Holloway threw hundreds of strikes in his last few rounds against Aldo, as he simply didn’t allow Aldo to rest and had the skill in the pocket to land consistently. Defensively, Holloway is excellent; while he isn’t impossible to hit, he’s relatively hard to hit clean and his offensive craft makes him difficult to counter on the way in. 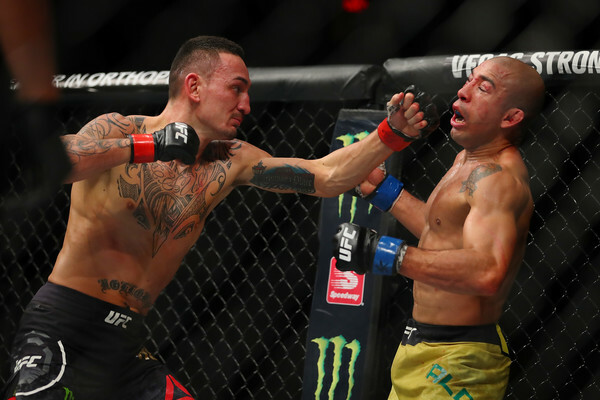 Holloway’s ability to hang in the pocket with a fighter as powerful and sound as Jose Aldo was what won him the rematch; Aldo found some success landing, but for the most part, Holloway was able to angle cleanly out of the exchanges. Also of note is Holloway’s footwork on the outside; Holloway is very laterally mobile and he’s hard to force to break stance (where he can counter or pivot away), so pressuring him is uniquely difficult. While Holloway has taken shots at the elite level, he does a good job mitigating them, he’s more resilient than anyone else in the division, and his opponent’s offense simply stops mattering down the stretch in the face of Holloway’s relentless barrage. 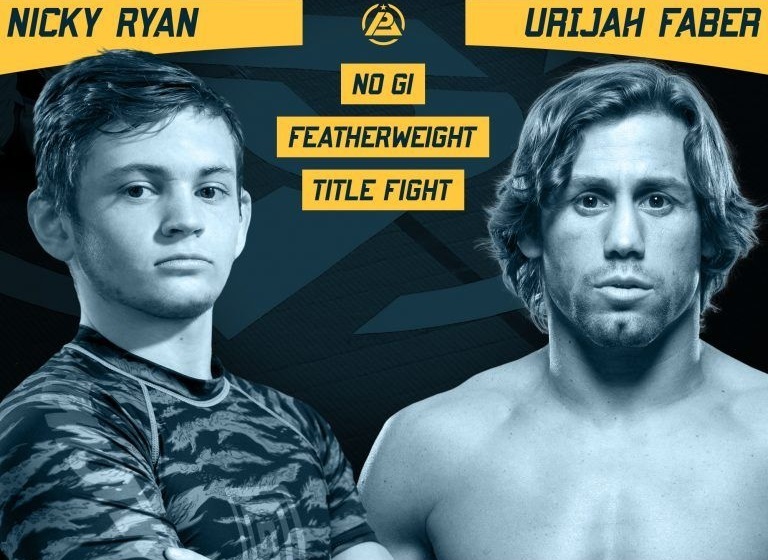 Holloway’s unique adaptiveness also means that his opponents have trouble making any read work for long; Brian Ortega found that, as he spent three rounds working out counters to Holloway only for Max to switch to southpaw and beat him just as badly. 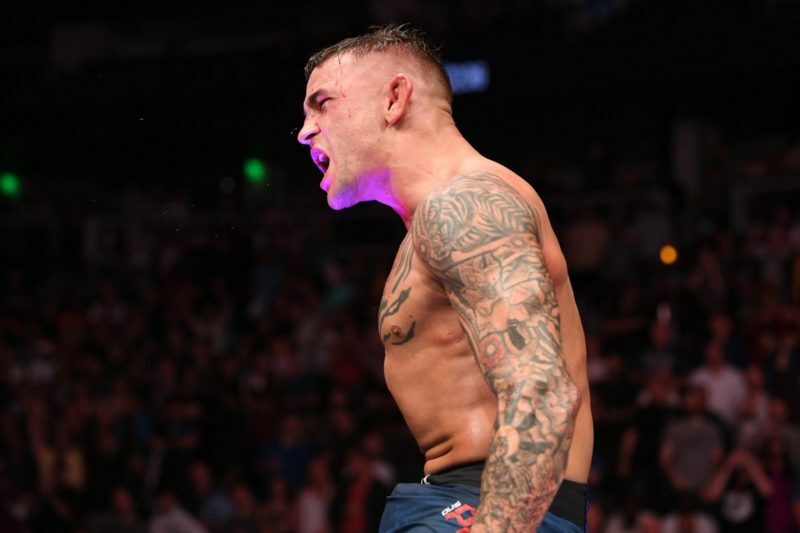 Dustin Poirier’s path to being an elite lightweight has been rocky, to say the least; starting out as a featherweight good for fun aggression and not much else, Poirier’s move to lightweight (on the heels of a lopsided loss to Conor McGregor) seemed to get cut off at the knees by the swift loss to Michael Johnson. Poirier has consistently improved since that fight, though, and is undefeated since; past the no contest in the first Alvarez bout, Poirier has done nothing but win since 2017, and his showings against elite competitors demand recognition as a fighter at championship-level. The rematch against Holloway leaves Poirier with a lot to gain; while Poirier already has a win over him, peak Max is a different animal entirely, and a finish over the current featherweight champion would give Poirier a case for being the best fighter in the world. Poirier is an outstanding boxer at every range, and his previous “brawler with no defense” version has been replaced by a thoughtful and careful striker who can excel in any kind of fight. Poirier’s game at range has been sharpened up considerably, as he’s turned into an extremely capable pressure fighter; Poirier now has the defensive ability to push his opponent back without getting hit by everything his opponent throws, and his counterpunching has looked excellent since his first fight against Eddie Alvarez. 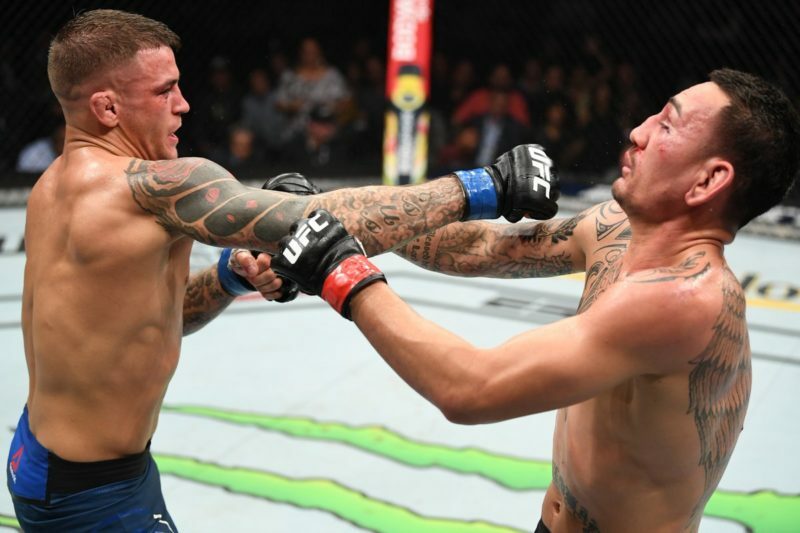 Poirier’s strongest singular blow has always been the southpaw straight, but his recent developments have been more in setting that shot up; Poirier has gained the ability to draw his opponent’s counters so he can find openings (for example, using the southpaw jab to draw an uppercut from Alvarez in the first fight, and countering that with a left hook), and he’s consistently been able to time kicks to land the left hand down the center (as he did to Alvarez and Gaethje). Poirier’s right hook is also reasonably polished at range, as he found success with it on the lead and on the counter against Alvarez in the rematch. Poirier’s most devastating moments in the pocket, where “The Diamond” is a truly unique threat; Poirier’s power and aggression makes the finish a near-formality if he can hurt his opponent at range, his boxing skill allows him to frustrate even good pocket defense, and his own pocket defense has taken leaps and bounds. Poirier’s best showing in that sense (independent of swarming a hurt opponent) was against Justin Gaethje; Gaethje’s high guard is generally a very sound and reactive one, but Poirier’s ability to pour on volume in the pocket (using throwaway punches to draw the guard and landing combinations around it to the head and body) left Gaethje looking defensively unequipped. Once he hurts his opponent, Poirier is a whirlwind of attack; he’s frighteningly powerful in close quarters and can find any hole in a guard, and he mixes up his offense very well even when his opponent seems ready to go out (as he did to put Alvarez away). 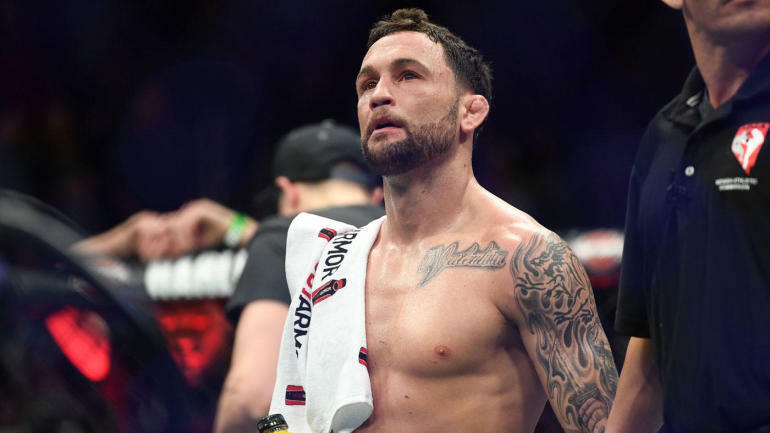 Poirier’s skill at range has also allowed him to be more judicious in his pocket entries; where against Michael Johnson, Poirier leaped wildly into the trade and ate a combination for it, Poirier has become a lot less reckless and he doesn’t need to brawl to win. Combined with solid wrestling (which he set up well with his striking against Joe Duffy) and an excellent top game that allowed him to outgrapple Anthony Pettis, Dustin Poirier is a well-rounded offensive threat whose defensive liabilities have largely been shored up; he looks to bring that to a head against Max Holloway, and ideally face Nurmagomedov later in the year. Poirier is a fairly troubling opponent for Holloway in a number of ways, but mostly in ways of “Holloway hasn’t been tested in those areas” than in the sense of Holloway having known weaknesses regarding what Poirier does well. 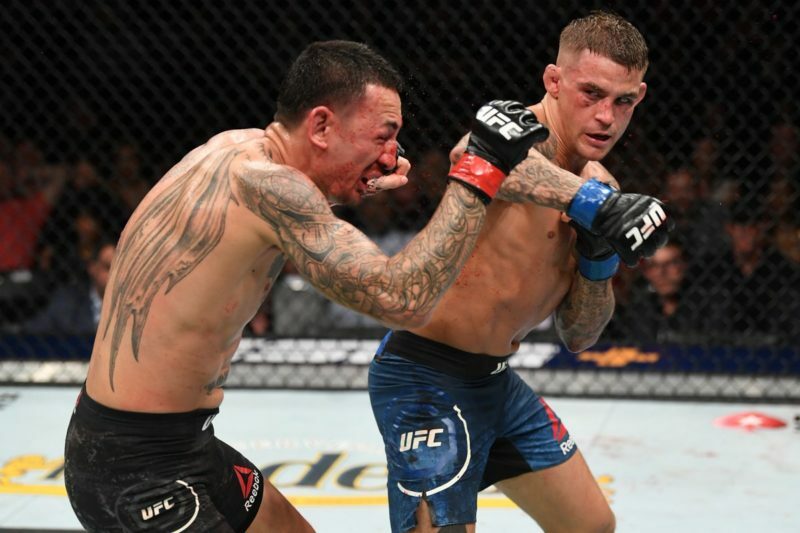 Poirier is the best southpaw opponent of Holloway’s career (Pettis can fight southpaw but is a far worse boxer than Poirier, and Ortega switches stance but isn’t defensively very good from either stance), and that theoretically complicates the jab of Holloway; however, Holloway’s ability to switch-hit makes that less troubling than it could be. Poirier’s boxing is excellent and he has shown more power in the past, but Holloway works at a higher pace and is a good deal more versatile, and probably wins an all-out firefight (Poirier’s chin isn’t bad at all, but Holloway’s is one of the best ever, as he took clean shots from Jose Aldo without getting badly hurt). Over the distance on the feet, Holloway has a clear advantage; his cardio is endless and he’s a good deal more committed to attritive work than Poirier (while Poirier does hit the body, Holloway is one of the most committed body-punchers in the history of the sport). Eddie Alvarez had some success leading to Poirier’s body with hooks in their rematch (and going to the head afterward), and Holloway is likely to key on that sort of liability. In theory, the sort of archetype to beat Holloway on the feet is a murderous counterpuncher who can dissuade Holloway from pouring on volume as freely as he’d like; in that sense, Poirier has a chance on the feet, especially early before Holloway can start making adaptations, but his pressure will be hard to leverage when Holloway is so laterally mobile and Holloway isn’t easy to counterpunch (behind layers of feints and one of the best jabs in the sport). When the counterpunching of someone like Jose Aldo (who’s not only amazing at counterpunching but has the power to scare almost anyone off) couldn’t keep Holloway from doing what he needed to do to win, it’s tough to see Poirier convincing Holloway to hang back. Poirier’s wrestling is one of the bigger question marks in this fight; against Joe Duffy, when Poirier started to have trouble on the feet, Poirier switched to the takedown (able to lead on the feet to get Duffy to counter and diving underneath it) and dealing a beatdown to Duffy on top. Holloway is a fairly sound anti-wrestler, having frustrated the takedown attempts of Ricardo Lamas (and threatened a few chokes), but he was also taken down for a moment by Brian Ortega. It’s a threat that Poirier may be able to leverage, but it likely isn’t high-percentage. Poirier is a more awkward fight for Holloway than anyone else at featherweight or lightweight, but Holloway should be able to get the win unless “The Diamond” fights a flawless fight. Prediction: Holloway via KO (Round 5). This writer caps Holloway at -140.